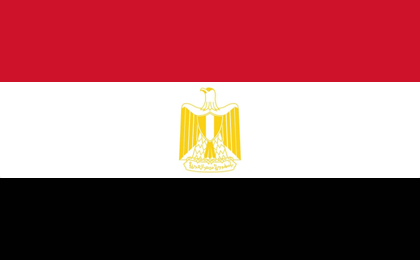 The Best and Fastest VPN for Cairo. Guaranteed. Why are we the best VPN service in Cairo? The main reason is because we’re the fastest VPN for Cairo. And, we’re willing to guarantee it with our 30 Day Unconditional MoneyBack Guarantee. How can we be so sure we’re the fastest VPN for Cairo? Almost all other VPN providers use “off the shelf” servers and technology. This can result in poor performance and weak security. Being super-geeks, we have our own proprietary UNIX-based server design that we have optimized over many years. Result? A much faster and more secure VPN for you. This is especially true with our IPsec VPN type. Will the VPN service give you an IP address in Cairo and access to blocked content and websites in Cairo? Yes. We use genuine Cairo IP addresses so you should be able to access content and websites as if you were in Cairo. Do we have real VPN servers that are actually in Cairo or ar they virtual? We go to the trouble and expense to have actual hardware servers located in data centers in Cairo. Some VPN providers use “virtual”” servers somewhere else but these can be dangerous to use. These virtual servers can fool speed tests into showing better speeds, but your data is actually being decrypted in another country without your knowledge, and they won’t work as well for Cairo content. How to set up VPN Service in Cairo? Try personalVPN™ risk-free for 30 days and you can easily select Cairo as a gateway to connect to on your computer, smartphone, or other devices. But, you also receive unlimited access to every city worldwide in our network with unlimited switching and streaming speed. The internet is not really a “cloud.” It’s made up of wires, cables, and servers that are very much like a global road system for your data. And, like any road system, there are superhighways, as well as backroads, traffic jams, and detours. Our 24x7x365-monitored network of VPN servers are only located in secure data centers with carrier-grade infrastructure, uninterruptible power, and rich network diversity to keep your data moving no matter the situation. Which VPN server gateway should I use? Unless you are trying to connect to country-specific content, or circumvent censorship in your location, you should usually choose the VPN server gateway closest to you for best performance. But, since intermittent internet traffic issues are a fact of life, feel free to experiment! Which VPN type should I use? Thanks to our optimized proprietary server design, we offer options others cannot. Click on the individual types for details but, overall, our “Pure IPsec” offers incredible speed with 256-bit military-grade encryption. It’s a solid choice for general use. Copyright © 2018 Witopia All rights reserved.